The G200 meets all the needs of tower stand hunters. The G200’s Millennium ComfortMAX seat design make for the most versatile and comfortable all-day hunting shooting house chair on the market. A folding seat that also reclines, independently adjustable feet for leveling, adjustable seat height of 18 to 23 inches that allows you to choose the best height for visibility from your stand are some of the features that set this chair apart from all others. 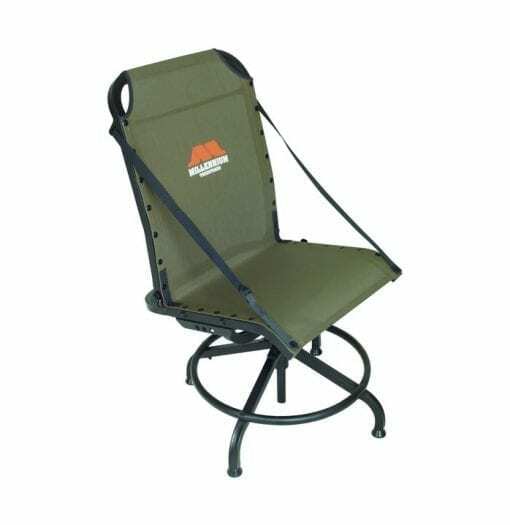 The steel and aluminum design provide stability and durability. Comes pre-drilled to accept the optional G101 shooting stick mount, which is designed to except an optional adjustable shooting stick giving you an unparalleled shooting platform for long gun or crossbow. 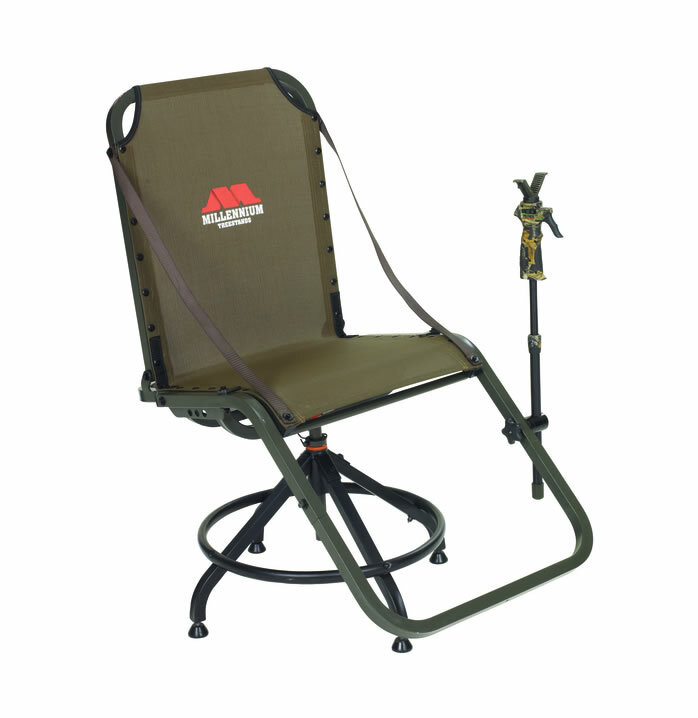 Optional foot rest and bow holder are also available. Comes pre-drilled to accept the optional G101 shooting stick mount, which is designed to accept an optional adjustable shooting stick giving you an unparalleled shooting platform for long gun or crossbow. Optional foot rest and bow holder are also available.